Breaking all the conventions of Indian filmmaking, a magnanimous project is in the making and is expected to be one of the biggest ever motion picture of Indian Cinema. Based on one of the celebrated novel 'Randamoozham' by the renowned writer Mr. M.T Vasudevan Nair, the film will be titled "Randamoozham" in Malayalam and as "Mahabharata 'in other languages, with the screenplay of the film written by the writer himself. Starring Mohanlal as the central character "Bhima", the film narrates the story of Mahabharata through the point of view of Bhima. International businessman and entrepreneur Dr. B R Shetty is the producer of this magnificent film along with the famous ad filmmaker V.A. Shrikumar at the helm, directing the film.Investing a whopping budget of Rs 1000 crore, the film is reported to be the biggest ever motion picture to be made so far with exhilarating visual experience. The movie will be made in two parts and will begin its shooting by September 2018. 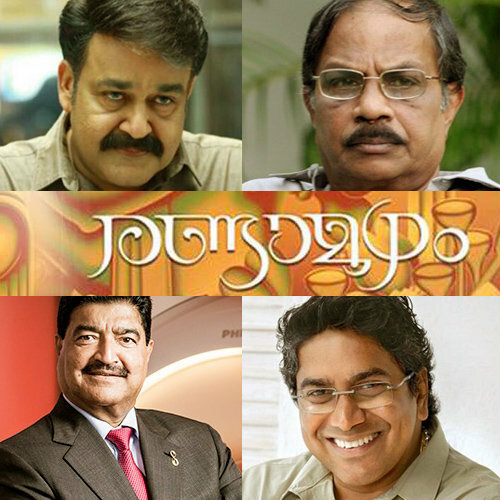 The first part of Randamoozham will hit the screens in 2020 and the second part will be out after 90 days. The film is expected to make history because of its big budget as well as its celebrated star cast. Although there are many adaptations of the epic Mahabharata, this project will be the first of its kind designed at a grand level for the big screen. The film will be shot in Malayalam, English, Hindi, Tamil and Telugu languages. The movie will also be dubbed in other Indian as well as foreign languages.